It’s Food Allergy Action Month. These healthy allergy-friendly recipes can help you protect your kids, their friends, and all your loved ones. 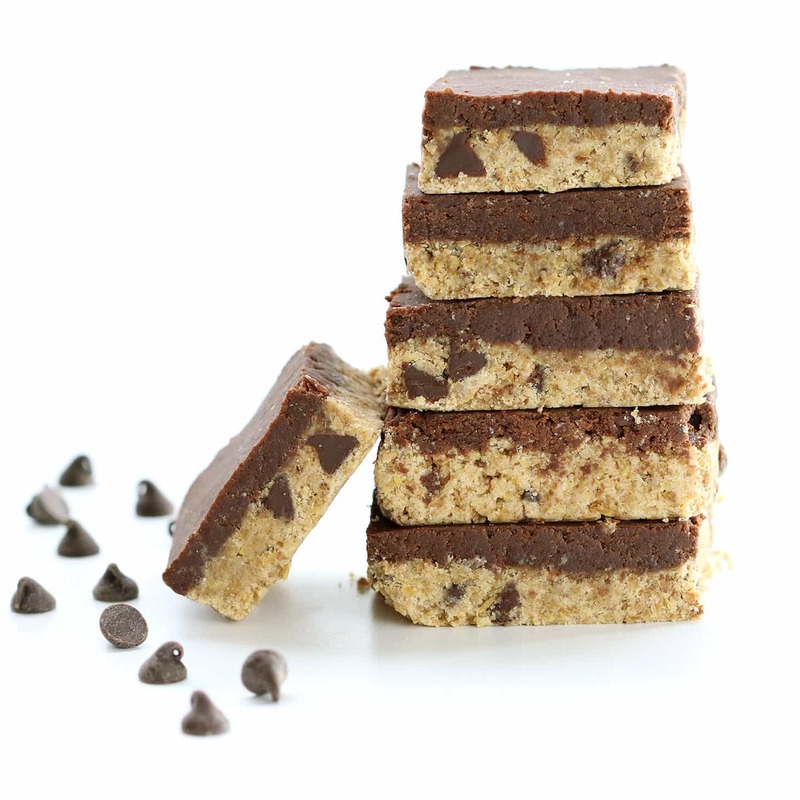 First up are these no-bake snacks, Healthy Chewy No-Bake Granola Bars, safe for the kids. These Gluten-Free and Vegan Goldfish are also lighter than the grocery store staple. Whip up Gluten-Free Monster Cookies that are also nut-free for the next class event your kids have. Gluten Free Monster Cookies (Nut Free, Vegan). Need a kid-friendly breakfast for the next sleepover? Try Life-Saving Pancakes that are gluten-free and egg-free. These Allergy-Friendly Brookies are the perfect combo of cookie and brownie, without the allergies. Skip the drive thru with these Allergy-Friendly Chicken Nuggets. This beautiful Raspberry, Lime, and Coconut Cheesecake is perfect for an allergy-friendly dessert for guests. Before you shop for groceries, there are a few things you should do to get ready. Before you make a grocery list, map out your meals for the week. Check what you have. Look through your fridge and cabinets to see what you have on hand to get meal ideas and to make sure you don’t buy anything you already have. Think about your week. Choose meals that are easy to make for your busiest days. Save recipes that take longer for weekends or days off. Choose big recipes that will give you lots of leftovers for lunches or busy days. Write it out. Planning and sticking to your plan is easy with these meal planning worksheets from ChooseMyPlate.gov. Make a grocery list to stay organized and make sure you never run out of important ingredients or household items. Organize your list for easy shopping. Add items in order or use a list broken into sections, like this one from ChooseMyPlate.gov. Use an app. You can use a list app, like Wunderlist, that you can use on your phone or computer or try one of these other grocery list apps. Add things as you run out. Keeping a running list makes it easier to keep track of what you need to restock. Look at your weekly meals. Use that plan to make the list of ingredients you need to buy. Don’t forget important basics, like bread, milk, fruits, and veggies, that may not be in recipes but that are perfect for quick meals and snacks. Being prepared can help you save money once you’re at the store. Join a loyalty program. If you always go to the same store, join its loyalty program. Loyalty programs are usually free and give you discounts and special offers just for signing up. Read the sales fliers for deals. They usually come out midweek in the newspaper, or you can find them at the front of the store or on the store’s website. Use coupons. Coupons can help you save on the items you know you’ll use. (Don’t buy too much of something you don’t need just to use a coupon, though!) These apps can help you find coupons and other ways to save. Eat before you shop. Going grocery shopping while you’re hungry is a big mistake. It makes you more likely to buy things you don’t need, especially unhealthy foods. Now you’re ready to head to the store! Make the most of your next shopping trip with our ultimate guide to grocery shopping. You’ve no doubt heard that salt’s bad for you. While the truth is your body needs salt, too much can be very bad for you. On average, Americans eat 4,000-5,000 mg of salt every day, and your body only needs about 500 mg a day. That’s a big difference. One that can be a big problem if you have high blood pressure. And it’s not just about what you add to your food. 75% of your sodium intake comes from processed foods. Salt adds flavor and keeps things fresh, so food manufacturers use a lot of it. A study in Hypertension: Journal of the American Heart Association, found a high-salt diet may decrease how well meds used to treat high blood pressure work. So, if you’re currently taking meds for or have high blood pressure, a low-salt diet could help them work. While you might want to talk to your doctor before you drastically cut back on salt, there are a lot of things you can do yourself to cut back that are good for you no matter what. Stop buying heavily processed foods like corn oil and soda. Shop around the outside edge of the grocery store and you’ll hit all the spots with the freshest foods. Read food labels. Those with fewer and simpler ingredients are best. The longer the list, the more room there is for chemicals, sugar, salt, and oils. Cook more at home. Restaurants, especially chains, use heavily processed foods. Train your tongue. If you are used to salt, sugar, and fat, you’ll need time to appreciate the flavor of natural foods. Allspice: Look for a low- or no-sodium options for seasoning meats, gravy, and even tomatoes. Almond Extract: Great for puddings, desserts, and fruit. Basil: Sprinkle on some fresh or dried basil to add a kick to fish, lamb, salads, soups, and sauces. Chives: Add a light onion flavor to salads, sauces, sides, and soups. Garlic: Fresh garlic is good for you and very flavorful. Ginger: Try this on chicken and fish. Lemon Juice: Make your lean meats and fish pop. Dry Mustard: Add to meat, marinades, homemade salad dressings, and veggies. Onion Powder: Good for marinades, meat, and veggies. Eating a low-sodium diet can be easy and delicious, it just takes a little planning and great recipes. Visit our Pinterest to find all kinds of healthy recipes you can make at home.